If you grew up with a trampoline, you were probably one of the most popular kids in the neighbourhood. If you didn’t have a trampoline, you almost certainly knew who did. Bouncing high up into the air is the closest a kid can get to being in space, plus it’s the best way to practice your flying karate kicks. Having a trampoline can be fantastic fun and it’s a great way to keep kids active, helping them burn off all their energy. 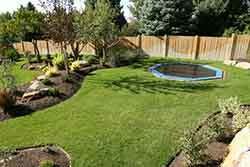 But with so many brands and types to choose from, how can you find the best bounce for your backyard? Read on for a guide to trampolines in Australia – and what you need to know to stay safe! There are all different kinds of trampolines, but the most basic design involves three elements – a jumping surface, a frame, and springs or other flexible connection between the bouncing mat and frame. The jumping surface, also commonly referred to as a ‘bounce mat’, is made of a strong, taut fabric stretched over the frame, using the springs to attach it. This fabric is usually woven polypropylene or waterproof canvas. The jumping surface is not actually stretchy – it’s the springs which produce the ‘bounce’. Trampoline springs are usually made of galvanised steel, as is the frame, to protect against rusting from water exposure. Springs are often coated with zinc for additional rust protection. In spring-free trampolines, the jumping surface is attached to the frame with flexible rods or bars instead of steel springs. Safety enclosures are increasingly common with trampolines, to prevent users from falling off. These are generally made of mesh held up by poles. What types of trampolines are there? About a meter wide, exercise trampolines are not designed for high bounces or stunts. These can be used inside as correct use involves only short, gentle jumps. Mini trampolines can be a good low-impact exercise option that helps build muscle strength and balance. Instead of metal coil springs, spring-free trampolines use flexible rods or bars in a design that keeps them below the jumping surface, along with the jumping frame. This keeps the dangerous parts of the trampoline tucked away from where they can harm any jumpers. These types almost always include a safety enclosure that attaches around the edge of the jumping surface. These aren’t a common choice as they can be quite expensive, require more work to install, and can’t be moved around easily. However, in-ground trampolines eliminate the problem of high falls, as the jumping surface is level with the ground. Trampolines can easily be dangerous, but most risks can be mitigated by sticking to the safety instructions, safe jumping, and keeping the trampoline well maintained. Most injuries occur when more than one person uses the trampoline at once. Jumpers can collide, or can boost each other’s jumps out of control and cause a fall. Bouncing off a trampoline can mean a fall of up to four meters, or a fall onto or in between the springs and frame. This can cause serious injury. Trying to perform somersaults or other tricks without proper training is also risky – if a jumper lands on their head or neck, the consequences can be extremely serious. This has even happened to top athletes. Trampolines should never be placed on or near hard surfaces or obstacles. The safest place to use a trampoline at home is usually on grass, well away from hard surfaces or obstacles such as the patio, garden edging, or fences. Hard packed mud or dirt is also unsuitable – the softer and more absorbent the ground around the trampoline, the lower the risk of injury if a jumper falls. Bark, wood chips, sand, or thick artificial padding can be safer to land on. Don’t leave any furniture, toys, or any other objects that could cause harm near the trampoline. No one should jump without supervision. 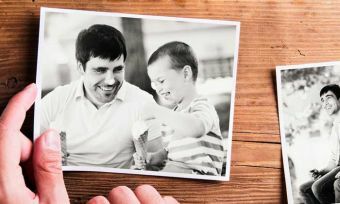 Children should absolutely be supervised by an adult, but even adult jumpers should have someone to keep an eye on them in case of an accident. 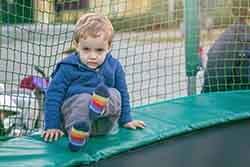 Small children and pets can be seriously injured if they wander underneath the trampoline while someone is jumping on it. All trampolines come with a minimum age and maximum weight for users. Stay within the safe age and weight range. Padding over the springs and frame may reduce risk of harm from impacts, but can offer only limited protection. Uncovered springs pose a risk of users getting a limb caught, which can cause cuts, skinned shins, and even broken bones if the rest of the body falls off at the wrong angle. However, most trampoline padding over hard surfaces can’t stop serious injuries from occurring – a head hitting a padded metal pole can still cause serious injury. Using a safety net can also prevent jumpers falling off. Regular maintenance and care can prolong the life of your trampoline and prevent potentially dangerous wear and tear. Check the entire trampoline regularly for any loose components, bends in the frame, and signs of rusting. Keeping it clean and dry can reduce rusting, while storing it out of the sun or beneath a cover can slow degradation of the jumping surface and safety net from UV rays. Lots of jumping will over time wear down and stretch out the jumping surface. If the mat becomes torn, patchy, thin or too stretchy, it should be replaced. Trampolines can provide great low-impact exercise that builds balance, coordination and strength without putting stress on your joints. 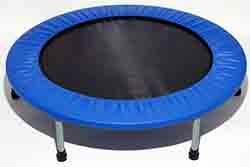 This makes trampoline exercise suitable for people of all ages and fitness levels. It’s also an easy way to wear out energetic kids. Athletes often use trampolines as training equipment, particularly divers, gymnasts and freestyle skiers. Trampolining itself is even an Olympic sport! How much do trampolines cost? Trampolines come in a wide range of prices from tens to thousands of dollars depending on size, design, and any extra features included. There’s a trampoline to suit every budget, but beware of sacrificing quality and safety for a bargain buy. Below are details on some of the biggest and most popular trampoline brands available in Australia and how much you can expect to pay for their products. Inclusion on this list does not constitute any particular endorsement. This Brisbane-based trampoline company was founded in 2008, and develops both affordable and premium designs. One of its latest models is the Thunder, which uses pre-curved ‘Leaf Springs’ to attach the jumping surface to the trampoline frame below. Vuly claims that this design offers superior safety compared to the ‘twisty’ rebound of other springless trampolines. The whole trampoline consists of only 9-11 different parts which click together without nuts or bolts. Vuly’s more traditional (and cheaper) trampoline model is the Lift. This design uses steel springs and frame that are at the same level as the jumping surface, but separated from the jumping surface by a safety net. The hourglass-shaped net is held up by ‘no-contact’ poles. Vuly claims the padding over the springs and frame will soften any impact. Like the Thunder, the Lift doesn’t require any nuts or bolts to assemble, with a click-together design. While not the only producer of trampolines which use alternatives to the traditional steel coil spring design, the New Zealand founder of Springfree was apparently the first to develop such an alternative. Instead of metal coil springs, Springfree trampolines use flexible fibreglass composite rods. These connect the jumping surface and trampoline frame vertically, rather than horizontally as with traditional trampolines, and are oriented at an angle to increase shock absorbency. This means no holes for legs to fall through. The design also includes a flexible shock absorbent edge on the jumping surface, to provide stability without any hard edges to accidentally hit or jump on. The safety enclosure also differs from standard designs. Instead of upright, thick rigid poles, Springfree safety nets are held up by thinner poles which are bowed outwards and have far more give. Springfree claims that this removes the risk of injury from jumpers colliding with the poles. Founded in the UK in 1988, Plum produces above-ground enclosed trampolines and in-ground barrierless trampolines. All Plum trampolines include PVC padding that goes over the frame and springs. Plum frames aren’t welded, instead using their patented Tramp Klamp brackets which fit over the leg and frame joint. Plum claims using these heavy brackets to connect the frame provides more stability and protection against the elements. In-ground trampolines by Plum are built using extra-thick steel to cope with the extra moisture exposure in the ground. The shorter frame legs mean there’s less digging required to install the trampoline to sit flush with the ground. Around the frame is a retaining wall to prevent soil from falling underneath the jumping surface. The jumping surface and safety pad are both vented to reduce airflow through the trampoline. Plum’s above-ground trampolines come in a range of designs tailored for particular age groups. The Junior model for little children (weighing up to 40-50kg depending on trampoline size) are built with shorter springs for safer bouncing and a lower frame that’s easier to climb. The next size up is the Space Zone model, which brings the safety enclosure in to attach to the jumping surface rather than the frame as the springs go up to the standard size for bigger bounces. Unlike the Junior and Space Zone models, Plum’s premium Magnitude model uses a safety enclosure held up by poles which curve outwards to form a fishbowl shape. These poles are cushioned with UV-resistant EVA foam – the same material used to make children’s puzzle play mats. Plum claims that by attaching the net to the jumping mat rather than the frame, jumpers who bounce off the jumping area won’t land on the springs or frame. The springs used on the Magnitude are bigger than usual and are finished with a gold passivation layer claimed to prevent rust, corrosion and breakages. According to Plum, there’s ‘no substitute for springs’. Australian owned and operated, Oz Trampolines was founded in 2007 by two parents who say they wanted good, durable trampolines for their children. Oz Trampolines is now a registered provider for the National Disability Insurance Scheme and apparently makes regular charitable contributions. Oz Trampolines produce both above ground and in-ground designs. The two above ground designs are the Summit and the Pinnacle. The Summit comes in round or oval shape, with a wide range of sizes, plus UV-treated padding over the springs and the safety enclosure fixed to the edge of the frame. They include a ladder and net pockets on the side for storing small items. The Pinnacle is the higher-end range, built for tool-free assembly. They have a greater than usual maximum weight capacity and are higher off the ground than other trampolines. The safety net is supported by curved rigid poles, as well as a circular frame at the top for added stability. The in-ground models, meanwhile, come in round or rectangle shapes, with vented padding and extra-galvanised springs. These are designed for use either with or without a safety enclosure, which is an optional extra. Trampoline purchases include free delivery to almost anywhere in Australia. Should I buy a trampoline? A trampoline can be great fun and exercise, but it isn’t a good idea for everyone. Firstly, you’ll need the right space to use it. Trampolines are only suitable for outdoor use, where you have a flat, stable surface on grass or other absorbent surface. You also need plenty of space around the trampoline clear of hard surfaces and hazards. A general rule of thumb is to have at least two meters of space around the trampoline, and five meters overhead to prevent head injuries. Secondly, trampolines should only be used by people capable of adhering to safety instructions. Children should not be allowed to jump on a trampoline unsupervised. Users of any age need to be responsible enough to jump safely. While trampolines are lots of fun, they can also become dangerous when you take your eyes off the ball.